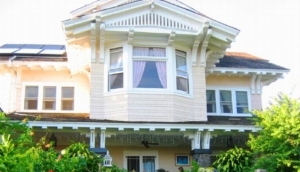 Awarded one of the 50 best B&B's in Hawaii by Frommer's travel guide, Beach Lane Bed and Breakfast offers guests a relaxing getaway within the picturesque town of Kailua. Enjoy oceanfront accommodation at Hale Kai Hawaii Bed and Breakfast. Overlooking Honolii surfing beach, Hale Kai offers panoramic views of the Pacific Ocean and Hilo Bay.